WAS MICHAEL JACKSON A SUICIDE? I snapped back, “Are you crazy? Michael was all about life, even with all of the prescription drugs he was taking, including Propofol, Oxycontin and Demerol. Even with the risk of the deadly side effects, including suicide impulses, I believe that his spirit was strong enough to prevail! 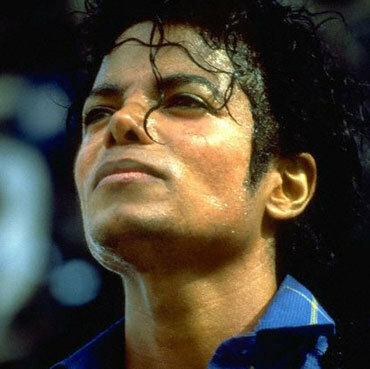 THE TOP, THE BEST, AND THE GREATEST MICHAEL JACKSON VIDEOS which were shot during some of the most difficult time in his life. There is an honesty and innocence I see in his face and demeanor that I’m sure most of his fans will recognize, which is why we’ve stood behind him all these years. I knew him slightly in this life and will continue to be inspired by him from the next. R.I.P. Michael, ROCK IN PERPETUITY! Tags: Michael Jackson a suicide? I do not believe, for a moment, MJ was suicidal..Far from it..Murray (IMVHO) Killed him. This is a heavy question, to which we’ll never know the answer. Artie, I found what you had to say about Hank Williams made me think again. And I totally agree with what you had to say about Michael Jackson. I’ve always found that the rumours and innuendos about him, don’t quite make sense to me. People, sadly, can be opportunists and will take advantage of those in power. This has happened to me, however, on only two occasions, and both short lived. Fortunately, I wasn’t that famous. I’D LIKE TO DO THE NEXT ONE ON YOU…PLEASE CALL ME WHEN YOU CAN TALK ABOUT 10 OR 15 MINUTES. P.S. THIS WILL ALSO GIVE YOU A CHANCE TO TALK ABOUT YOUR CAMPAIGN EQUAL RIGHTS FOR WOMEN. « THE POWER OF PRAYER AND THE COLLECTIVE CONSCIOUSNESS!